IN STORES TOMORROW - A scrummy surprise is on its way...! Gallery - Share your favourite fur family photos and be in to WIN! Frequently Asked Questions - Where can I find your products? 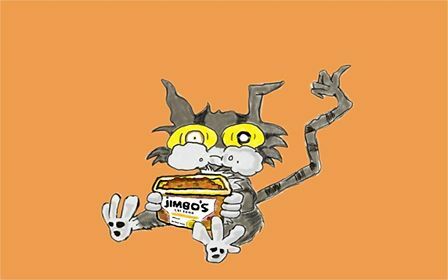 A Jimbo's Illustration by Forda Moemint whose cat, Harry, loves snacking on Jimbo's. We have a scrummy, secret surprise that will be in stores just in time for Christmas! Join in the excitement on our Facebook page, where you'll have daily chances to win Jimbo's goodies for your pets! We love sharing photos of your Jimbo's-loving pets with the world. Click here to send us your fur family photos, tell us why your pets love Jimbo's, and you will go in the monthly draw to win $30 of Jimbo's vouchers! Mixed feeding is all about giving our pets a variety of the right kind of food to help them thrive. Jimbo's raw food is minimally processed and is packed full of easy-to-digest proteins and other macronutrients. It is exactly what our carnivorous companions are designed to eat. We recommend feeding Jimbo's on its own to maximise digestive benefits. Feed other products such as dry food in separate meals. 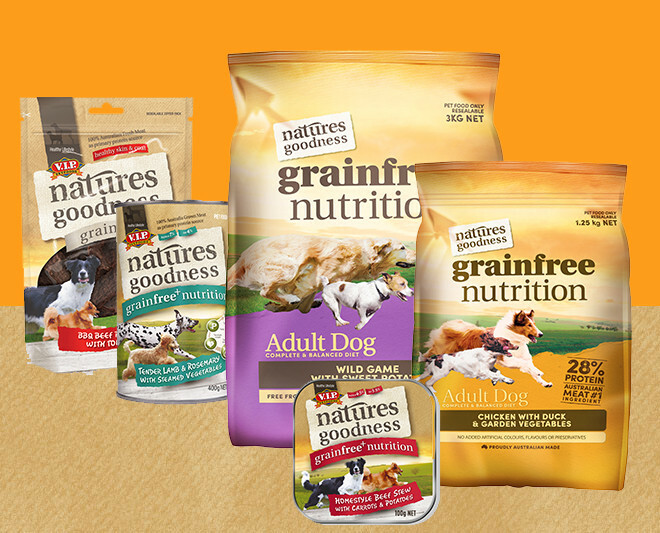 Dry food can make a nutritious "complete & balanced" base. 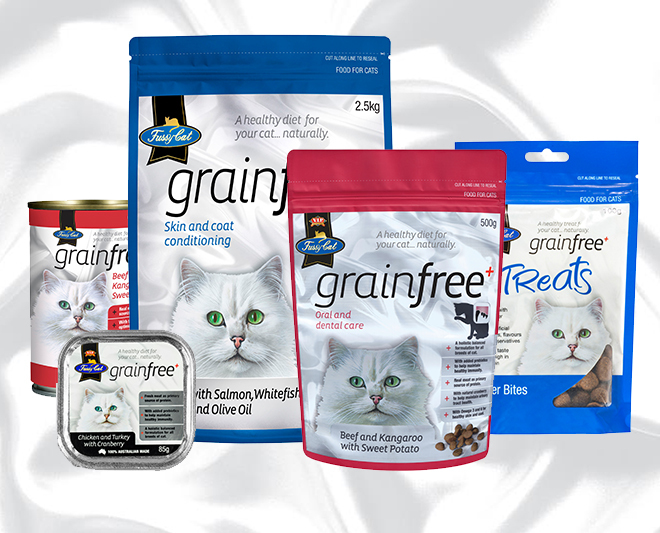 We recommend grainfree products such as Fussy Cat and Natures Goodness. Wet food adds extra moisture and taste variety to the diet, and treats provide special opportunities for bonding with your pet. "Where can I find your products?" A selection of Jimbo's fresh & frozen products can be found at all leading supermarkets across New Zealand. Give us a call on 0800 PET FOOD (0800 738 366) if you are looking for a particular product and can't find it in your local store. 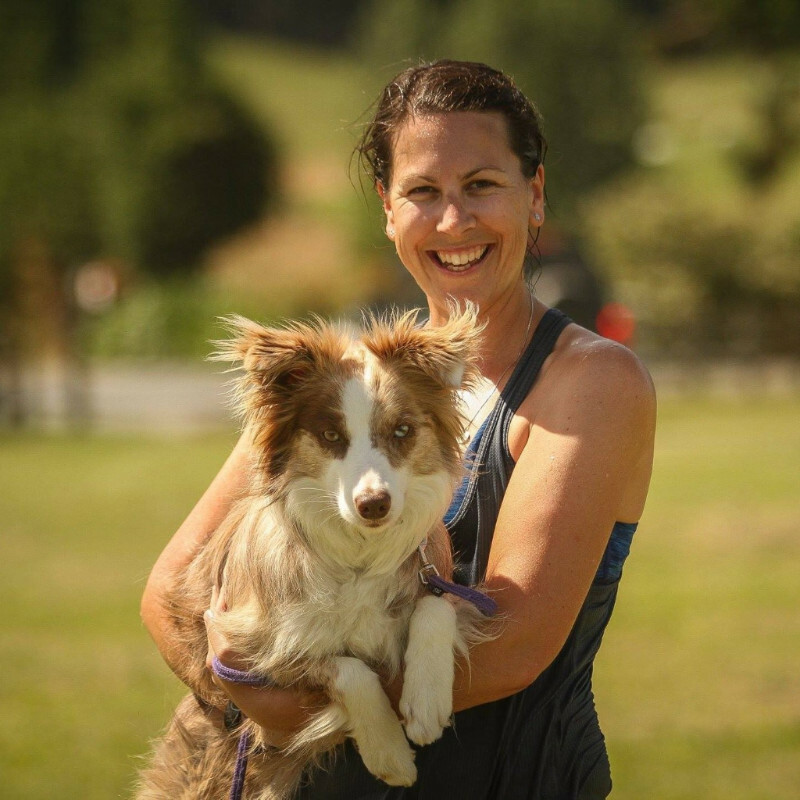 Kelly studied Zoology and Anatomy/Physiology at the Otago University, and began training her first dog, Brody, 11 years ago. All of Kelly's dogs are powered by Jimbo's! Who loves puppies!? I do! Who doesn't love their boundless energy!? Me! At times it's draining, right? Puppies seem like little energizer bunnies; they just keep going until they conk out. It gets even harder when they reach their 'teenage years' because they may look like a grown-up dog when actually they are still a young, immature dog. 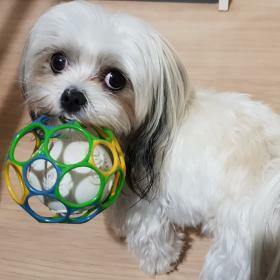 A small dog (5kg) is fully grown at around 10-12 months, and a giant breed (45kg) as late as three years. Over-exercise can cause damage to bones and joints which in turn can cause irreversible damage and arthritis in their later years. Avoid too much activity or ruff play with older dogs, and too much of any one type of activity. 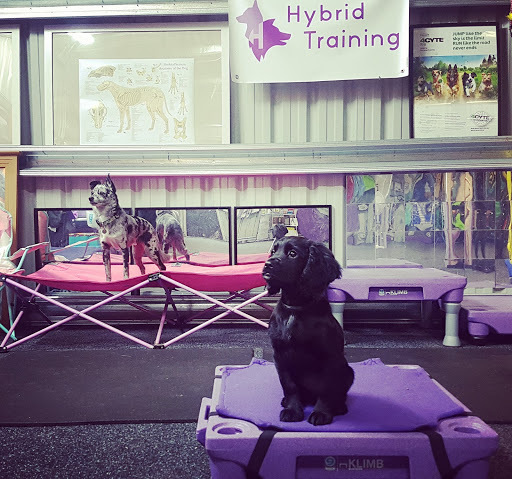 Carefully manage puppies jumping large distances and over slippery surfaces. Puppies should not be doing things like agility obstacles, or really long off-lead walks. If you are interested in more information check out my recent blog post. Where can you find Jimbo's products? Congratulations to Carolyn from Lincoln and her ragdoll cat, Bella for winning last month's multichoice question competition.